Ruins of the Grand Serai, Jaffa. A truck loaded with explosives covered with oranges was parked outside the entrance on 4 January 1948 by members of the Stem Gang. 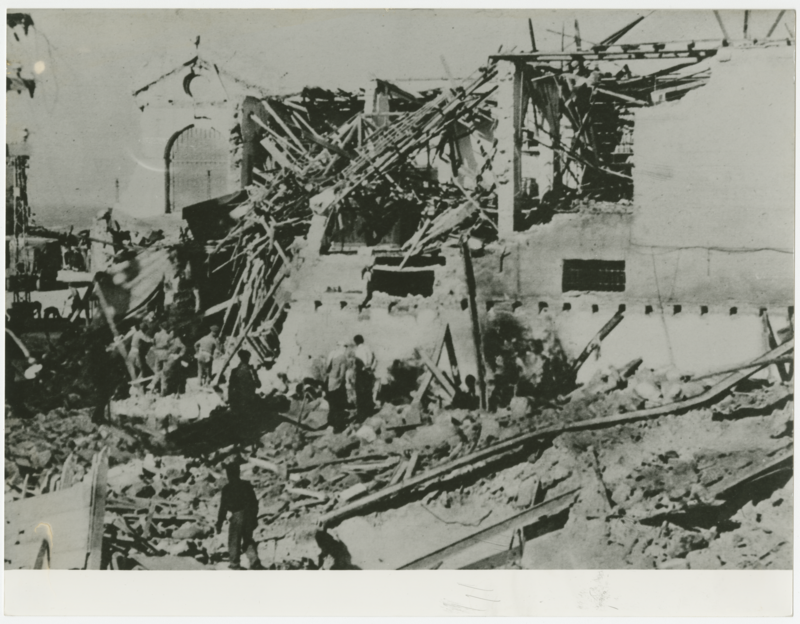 The resulting explosion destroyed the building and killed twenty-six Palestinian civilians.